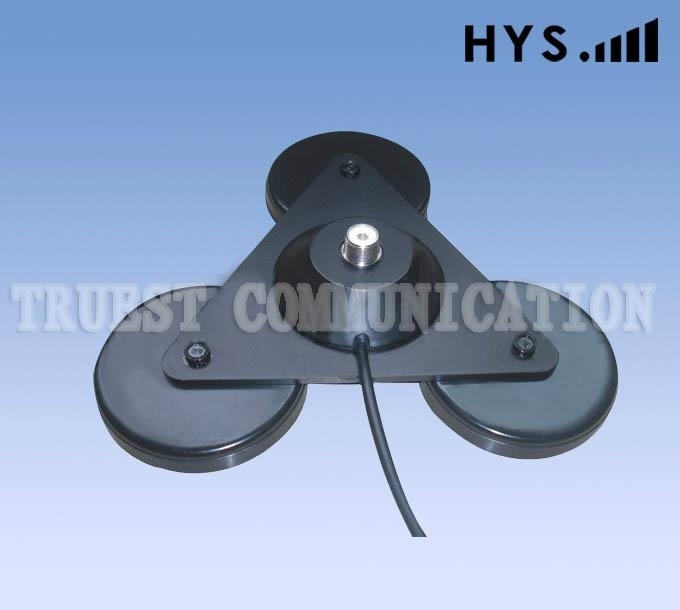 Heavy Duty Tri-Magnet Mount with SO-239,NMO,SL-16K,N-femal Connector. This type Tri-Magnet Mount has three strong 3.5-inch magnets. Protective rubber coating on each magnet to prevent scratching on vehicle's finish. Cable length: 15', 17', 18' RG58 cable (per client different needed). Available connection connector: PL259,SMA-MALE,SL16-MALE etc.